Q: I have put up a lattice to get more privacy on my patio. Would morning glory be a good vine to grow on it? I want something that will give color. 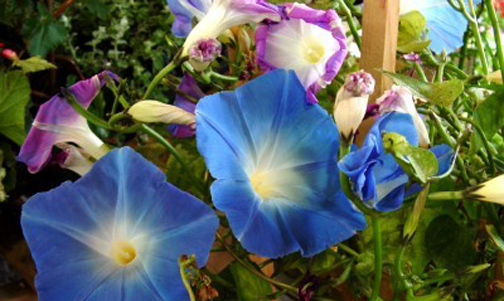 A: Morning glory is fast growing and will flower. It is an annual though and will decline in the fall. You might want to plant a perennial evergreen. Confederate jasmine, coral honeysuckle, passion vine or Carolina jessamine will have foliage year round, creating more privacy. Q: Does the mosquito plant really do a good job of repelling mosquitoes? A: The mosquito plant is simply a variety of scented geranium. Unless disturbed the scent is not noted. On a calm, still night, when mosquitoes would be worst, the plant is not affective at discouraging the pest.